Recently some buyer back to me and say they totally not sure what the memory for the HTPC they purchased. 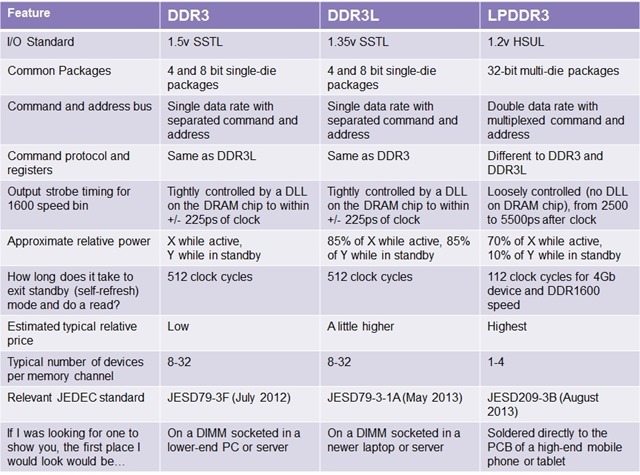 Some buy desktop DDR3 for our HTPC and some buy standard 1.5V laptop DDR3 for i5-4200U and i7-4500U. 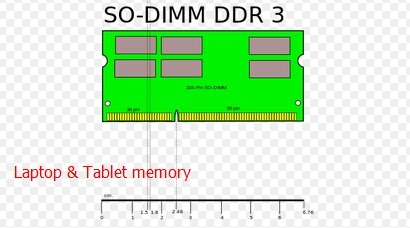 Some just say they don’t understand the DDR3, DDR3L and LPDDR3 that shows in the CPU descriptions so not sure how to select the right memory. Now here I collect some information from internet directly and wish they can help. 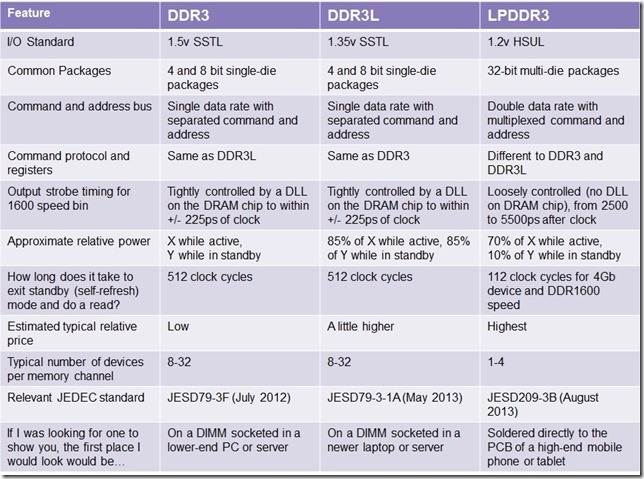 Now let’s see difference of DDR3, DDR3L and LPDDR3. 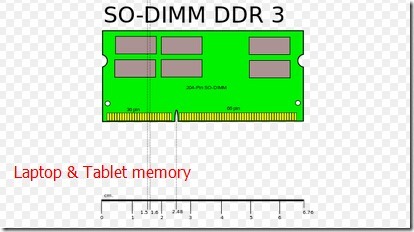 Laptop memory is 204pin(SO-DIMM DDR 3) and destop memory is 240 pin(DDR 3). Previous Previous post: Why Atheros AR928X shows 300MB in my HTPC but 150MB in some other HTPC?